Do you use your voice for more than 5 hours a day? Does your job rely on your communication skills? Teaching 1-1 or in a school and starting a new term? For this special Back-To-School package we've added a third resource to our top two speaking voice resources to create this downloadable voice maintenance and development package specifically for teachers (and singing teachers) who use their voice to help others learn. 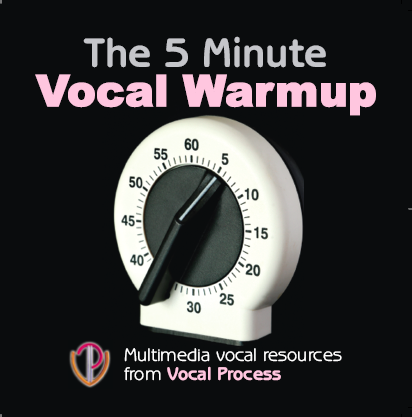 The package includes the downloadable MP3 version of the 5 Minute Vocal Warmup CD. Seven tracks that teach the Four Core Skills we devised for the Microsoft Headquarters UK trainers, who give lectures and presentations around the world. You can click here to read more about the original CD version (opens in a new window). 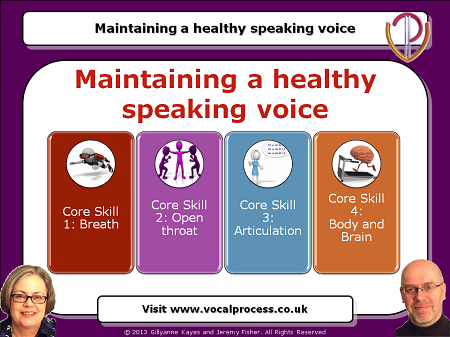 The package also includes access to our online training Webinar created especially for World Voice Day - "Maintaining a Healthy Speaking Voice". This hour-long streaming Webinar gives you the voice science, the pictures and the techniques behind the Four Core Skills and shows you how to apply them to your routine every day. You can click here to read more about the Webinar (opens in a new window). 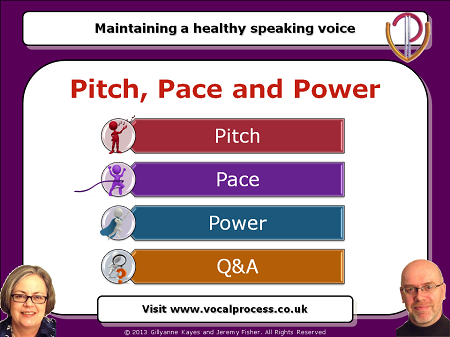 And for the first time we're also including a second online training Webinar aimed at enhancing your speaking voice and how you use it - "Pitch, Pace and Power". This hour-long streaming Webinar contains exercises, concepts and easy-to-follow techniques for a bigger vocal range, better volume control and a more interesting way of communicating your knowledge. ALL our Webinars are CPD accredited. You can get Continuing Professional Development points and certificates for each of these two Webinars - and that's included in the price. This package is instantly downloadable, so wherever you are in the world, you'll be able to access these resources as soon as your order has been accepted. 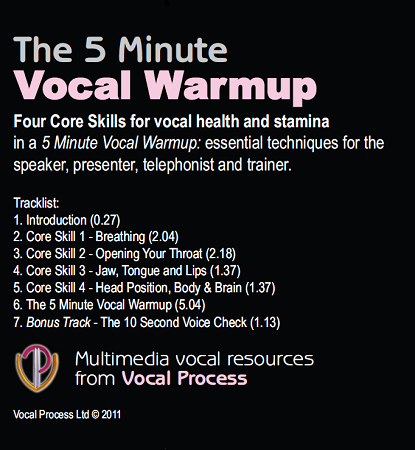 PS Once you've listened to the Four Core Skills and watched both the Webinars, you can either use the 5 Minute Vocal Warmup Routine at breakfast, go through the 10 Second Voice Check, or use any of the techniques for specific vocal tasks like presenting, teaching or demonstrating while keeping your voice healthy and efficient. PPS Remember that you can also get CPD certificates for the Webinars in this package. And because Vocal Process is a nationally CPD-Accredited hub for training resources, you may even be able to get your boss to pay for it! PPPS This package contains three great voice training resources for the price of two - get it before the end of September and use it throughout the term to keep your voice healthy until Christmas.